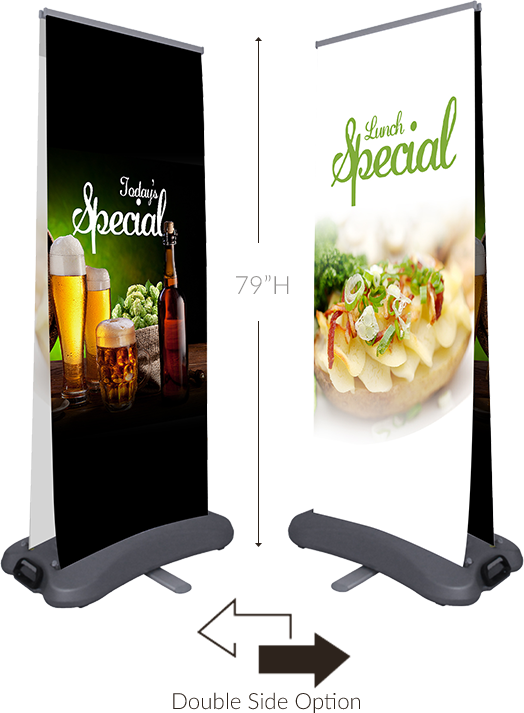 Retractable and durable, Banner Stand is made for outdoor use. With spring loaded poles banners sway with wind gusts of up 25 mph without blowing over. 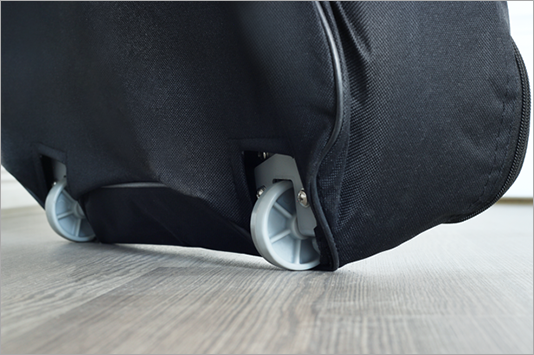 Water filled base provides a total of 90lbs of weight for stability. 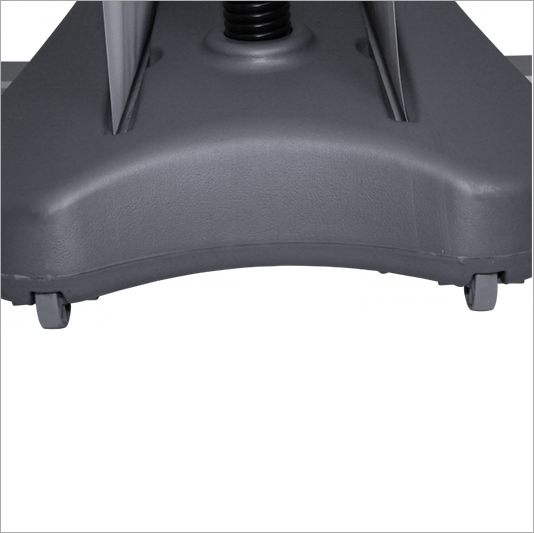 Support poles are also height adjustable up to 80inch. Package includes printed banner, water base, poles and carrying case. (Double – sided format), for locations with high traffic. 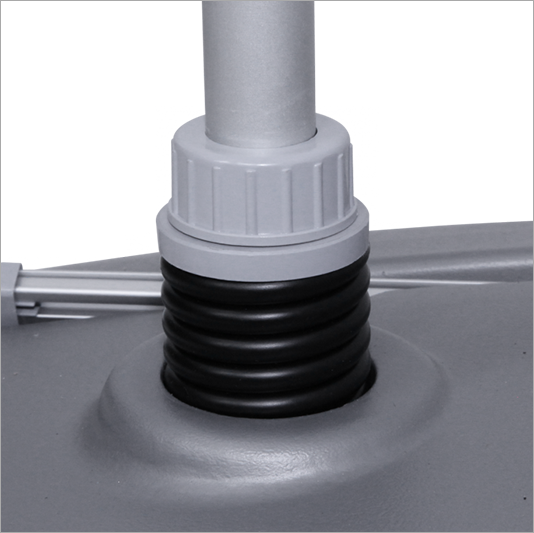 Springs allow the support poles to safely sway without tipping over the display. When the water base of the Roll Up Outdoor Double-Sided 31" is filled, the built in wheels allow easy re-positioning. 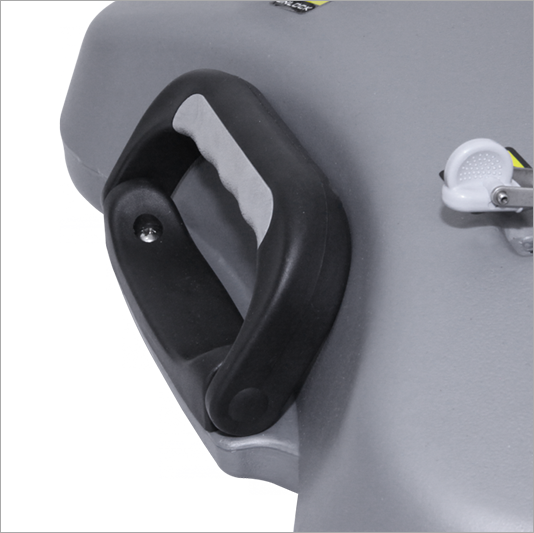 Transporting the water base is easy with the attached handle. 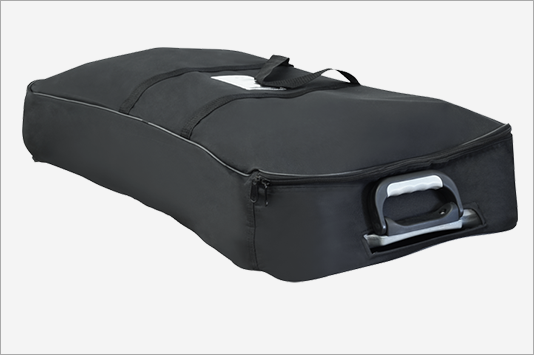 A padded carrying case is included with Outdoor Retractable Banner Stand. High quality base constructed to set up with ease and sustain everyday use. Add more advertising space with deluxe retractable double sided model.